What are the most common Depo-Testosterone Side effects? Here is a list of the possible depo-testosterone injection side effects that are rare, but can occur. Due to the fact that problems can arise (like with any medication) when taking depo-testosterone is why it is wise to be educated about these potential issues that could come up – so that they do not come as a surprise. However, if using your prescribed shots according to your treatment plan, side effects should not happen. The dosage of the medication is too high. Irritation of any sort at the injection site could be due the patient not rotating injections spots. Patients should be instructed to use different places on the body (the buttocks, the deltoids, the thighs) to deliver their medications. Patients are never to use the same spot twice in a row. The client is allergic to the medication. A person can get depo-testosterone shot side effects because they did not get the medication prescribed from a licensed physician. Instead they may have bought it from an unknown seller. There is no way to know what you are injecting into your body if you do not get medications from a reputable, honest and trustworthy clinic or doctor. Buying unknown medication from an unknown source that says they are giving you the real thing (depo-testosterone), does not mean that they are being honest. You never know what you are purchasing or injecting into your body when you do not buy this medication from a reputable TRT clinic. This cannot be emphasized enough. At times, a patient may believe that if they take more medication than is prescribed, they will feel benefits faster and stronger. This is false. In fact, many times, going off of your prescription and taking more medication than is necessary for the body to balance hormone levels can be highly detrimental. Clinics often see side effects of too much depo-testosterone and have to warn patients to follow their treatment plans. Our licensed doctors take a lot of time and effort reading test results to see exactly which medication and how much of it they should prescribe. They do so carefully and conservatively to help their patients to avoid negative side effects and only get great results. The best way to avoid receiving negative side effects of depo-testosterone is to follow the doctor’s prescription as he or she has written it. 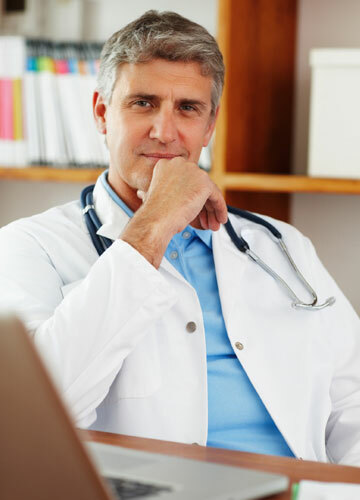 They physicians write patient treatment plans and prescriptions with much care and consideration for exactly what a patient needs; nothing more and nothing less. Going off the prescription thinking that you will get better or faster results, usually does not end well. Our doctors know what they are doing as they have been trained for years in this medical field. They know the best possible way to get clients to have the best results from therapy and to avoid depo-testosterone side effects. Many websites will share what the negative side effects of depo-testosterone shot can be, but they do not share how to avoid the possible problems associated with the shots. Here are some guidelines to attempt to avoid getting negative side effects from these powerful medications. Never buy depo-testosterone shots from an unknown source. You will never know exactly what is in the vials you purchase if you do not get them from a reputable source. Injecting bacterial residue from cheaply made medication can produce a plethora of problems for both the mind and the body. In fact, it can be very risky and dangerous. Never buy depo-testosterone injections from overseas, from the black market online or in storefronts, from personal trainers (they cannot diagnose and prescribe the right amounts for your body composition and body chemistry), from bodybuilders you meet at the gym or from any other source but a licensed physician from a reputable practice or TRT clinic. Never go off your treatment plan. Follow the doctor’s instructions exactly as written and trust that he or she knows what is best for you. After all, they are trained to be able to read your blood test results to know what your testosterone levels are, to understand your current and past medical conditions and what you are trying to accomplish through testosterone replacement therapy. A patient could encounter side effects of stopping depo-testosterone abruptly, so this is never suggested. Always consult with your doctor before making any changes to your treatment plan or to your medication dosage. It is never advised to make alterations in your therapy protocol without a doctor’s consent. Always make sure that you are getting the medical supervision from the licensed doctor as the law requires. All clinics should mandate medical monitoring once a patient begins their therapeutic journey with depo-testosterone injections. This is one way to stop a problem immediately if it begins to occur. Stay in close contact with your clinical advisor. Let him or her know of your progress throughout therapy and certainly call immediately if you feel anything occurring that is out of the ordinary. None of these ways to avoid depo-testosterone side effects are difficult to do. Be a responsible patient when partaking in TRT. This is imperative for great results without problems.